In this part of my preparedness series, I will talk about different common and uncommon diseases, illnesses and other health inflictions that wouldn’t be easily treated during a long term crisis. This is not a replacement for medical advice, it is just my notes on how to cope with the situation using herbs if no medical help was available due to a long term crisis or other disaster scenario. It is intended for educational purposes only. All cases of tuberculosis should be assessed and treated by a medical provider when necessary. Also known as “TB” or the consumption, tuberculosis (Mycobacterium tuberculosis) is a bacterial infection that usually attacks the lungs but it can also travel through the bloodstream and the lymph nodes to other parts of the body. It is a contagious air-borne disease that is easily spread by casual contact. It is easily spread through coughing, sneezing, spitting, discharging mucus and kissing. In the 19th century, 25% of the deaths in Europe were caused by tuberculosis. To this day, 3 million people die from tuberculosis every year, mainly in developing countries. The bacteria usually remain dormant in the body. 90% of those infected with the bacteria produce tuberculosis antibodies but will show no signs of infection and cannot spread the disease. The disease is often difficult to treat and strains are now showing up that are resistant to antibiotics. About 1% of new cases in New York City are caused by bacteria that are resistant to 1 antibiotic and 7% of the recurrent cases are resistant to 2 or more antibiotics. Those who are infected with the resistant bacteria has only a 50% chance of survival. Complications can cause lungs to collapse, fluid to form between the lungs and the lung membrane, complete obstruction of the airway passages and more. It can also turn into military disease and tubercular meningitis. During normal times, antibiotics should be taken. Pyrazinamide and streptomycin are the main antibiotics used. If no antibiotics are available, be prepared to use a heavy arsenal of herbal antibiotics to try to combat the disease. Any phlegm coughed up should be buried or burned to destroy the bacteria and keep it from spreading. Do the same with stools and urine. Wash all clothing, bedding and linens in hot water with bleach. Those attending the patient should wear a N95 respirator mask. Tuberculosis has been successfully treated in other countries using herbal medicines. Treatment must be continuous and taken for at least 6 months and best taken for at least 1 year. This is because tuberculosis bacteria die slowly. Begin taking herbs to boost the immune system. Those who come in contact with the patient should also take these herbs to boost their own immune system. A strong dose is recommended: 1 drop of tincture for every pound of body weight taken 4 times a day for 10 days. It is important to get fresh air daily and the patient should practice deep breathing. Daily exposure to sunlight is important too, exposing the eyes without glasses or contacts for at least 15 minutes daily. Keep the patient warm and do not allow them to become chilled. Add foods and herbs to the diet that include both vitamins and minerals such as vitamins A, B6, C, E, Beta Carotene, Selenium, Amino Acids, Lysine and Zinc. These herbs will be useful for soothing the cough and providing some relief. They are also healing for the lungs. Marshmallow should be incorporated into the regimen for treating tuberculosis. 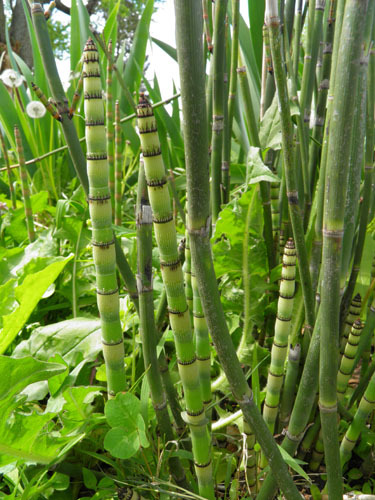 As a mucilaginous herb, Marshmallow will help to absorb toxins and carry them out through the stools. Cold infusions of marshmallow root are very soothing to the lungs and airways. Hollyhock root (Alcea spp.) and Okra pods (Abelmoschus esculentus) are both related and can be used interchangeably if Marshmallow is not available. Dosage is 5 drops tincture. Wild Cherry Elixir or cough syrup is soothing to the lungs and will help with coughing spasms. Take 1 teaspoonful as needed. Daily infusions of Mullein leaf can soothe irritated lungs and aid in healing. Strain infusion as some people find the hairs irritating to the throat. Honeyed Elecampane roots can be sucked on to relieve coughing (see recipes). Take 10 drops tincture as needed. Comfrey is a great healer. Drink infusions of Comfrey leaf daily and rub Comfrey root oil or salve onto the chest to help with spasmodic coughing and to help heal lungs. Horehound succus can be taken to relieve coughs. Horehound is an antispasmodic and specific for coughs. Take 1 teaspoonful as needed. Thyme soothes irritated throat, has antibacterial properties and can help calm spasmodic coughs. Drink 1 cup of tea 3 times a day. New England Aster is used for treating asthmatic conditions and is sedating. Take 1 dropperful as needed. 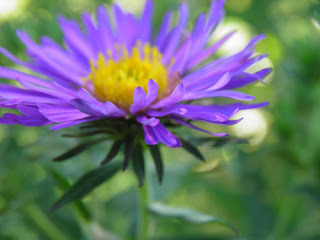 May be combined with Elecampane as they work well together for conditions of the lungs. Onions have been used to cure patients of tuberculosis. Eat onions several times a day. For coughs, make a succus of chopped up onions and honey and take 1 teaspoonful as needed. The following are various herbal treatments that are recommended to be used for treating tuberculosis. Use what you have available in your region. They will need to be taken daily for the next 6 months – year. 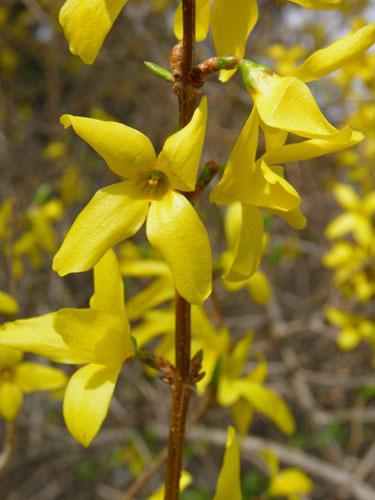 James Green recommends combining twigs of Forsythia with Honeysuckle flowers (Lonicera japonica) in a 1:2 ratio in a tea or hot lemonade, up to 3 cups per day. China has used Honeysuckle for centuries to treat all sorts of respiratory problems, including tuberculosis. Use a tincture of the flowers, 2 droppersful 3 times a day, or a handful of fresh flowers in a cup of boiling water, drank 3 times a day. 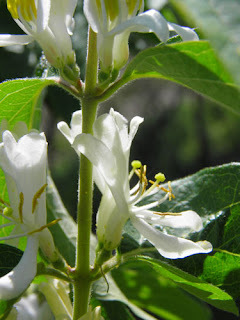 If not flowering, use twigs and dried leaves to make a bitter tea which can be flavored with other herbs and sweetened with honey. Another herb used by China for treating tuberculosis, the roots are sweet and often accepted by children for the sweet, familiar taste. Drink a cup of tea 2 times per day. Avoid licorice if patient has high blood pressure. A powerful antibiotic, garlic should be eaten with every meal. Cloves can be eaten raw, cooked or pickled. Eat several cloves each day. This is another herb used by the Chinese to treat tuberculosis and studies have shown that taking garlic while taking the antibiotics for tuberculosis actually enhance the action of them, making them more effective. 1 dropperful 3 times daily. If available, fresh ginger can be boiled for 10 minutes then allowed to steep for 1 hour. Strain the liquid and add honey to sweeten. This herb has also been found effective for treating tuberculosis. If you grow your own tree (in a container part for more temperate areas), you can make a tea form the fresh or dried leaves to drink 3 times a day. Otherwise, you can use 1 – 2 drops of essential oil in a cup of water or herb tea. Do NOT use more than 2 drops as it is very potent. The silica content in the bones is reduced by tuberculosis. Silica is needed to develop resistance to disease so it is important to restore the silica levels in the bones. Take 1 dropperful of tincture 3 times daily while being treated for tuberculosis. Berberine inhibits bacterial diarrhea caused by Mycobacterium tuberculosis. Herbs such as Goldenseal (Hydrastis canadensis), Oregon Grape Root (Berberis aquifolium), Goldenthread (Coptis chinensis) and Barberry (Berberis vulgaris) should be taken daily. Dosage should be 1 – 2 droppersful 2 times daily. This herb is a low dose botanical and needs to be respected but it is a powerful herbal treatment for lymph and glandular problems as well as an extreme immune booster. It is also an antibacterial and magnifies the effects of Echinacea which should also be taken when treating tuberculosis. Do NOT increase this dosage as serious side effects can take place including dizziness, seeing floaters, spaciness, vomiting, prostration, convulsions and death. When taken appropriately it is safe and highly effective. Take 1 – 3 drops of tincture per DAY up to 3 months. If symptoms of overdosing appear at any time, back off from the dose. Cleavers is another herb that cleanses the lymph. Take 1 dropperful of tincture 2 times a day or 2 cups of tea each day.